There has been a ton of mystery surrounding Jelly, the new startup from Twitter co-founder Biz Stone, ever since he first announced its creation back in April of last year. The idea got a lot of interest from a lot of big names, but Stone still remained remarkably cagey about what it actually was. Now, finally, Jelly is here and we can finally, after all this time, find out what it is. So, are you ready ? Drum roll, please. Jelly is... a question and answer site. Now that may not sound too exciting, but there is a twist: it is a q&a site that uses newer types of technology, namely pictures taken via a mobile device and social network connections, to get those answers. "Using Jelly is kinda like using a conventional search engine in that you ask it stuff and it returns answers. But, that’s where the similarities end," Stone wrote in a blog post. Here's how it works: users take a picture, then put it on Jelly. It will be submitted to social connections on Twitter and Facebook who also have the Jelly app. Because those people might now have all of the answers, they can then forward the question to people outside of the app as well, in order to get the right information. 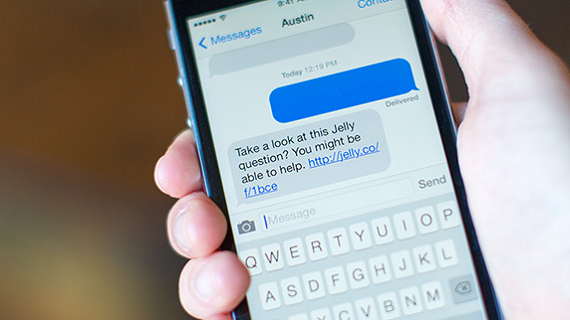 "Jelly changes how we find answers because it uses pictures and people in our social networks. It turns out that getting answers from people is very different from retrieving information with algorithms. Also, it has the added benefit of being fun," said Stone. The most innovative aspect of the idea is using pictures, to get answers to questions, which takes advantage of the rise of image sharing apps that have popped up in just the last few years. "In a world where 140 characters is considered a maximum length, a picture really is worth a thousand words," Stone said. "Images are in the foreground of the Jelly experience because they add depth and context to any question. You can crop, reframe, zoom, and draw on your images to get more specific." Before today, few people had any idea what Jelly was. But that did not mean that there was no news coming out about the company. In May, the company raised an undisclosed amount of money in a round led by Spark Capital with additional investment by SV Angel. 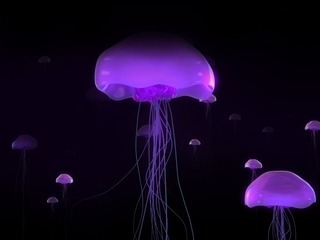 In addition to the two investors, Jelly also received funding from a group of high profile individual investor: Square CEO Jack Dorsey; U2 frontman Bono; Reid Hoffman, with the Greylock Discovery Fund; Stone's Twitter co-founder Evan Williams and Jason Goldman via Obvious; former Vice President Al Gore; Emmy winning director Greg Yaitanes; author and entrepreneur Steven Johnson; and Afghan entrepreneur and businesswoman Roya Mahboob. The company also made a series of high profile hires. 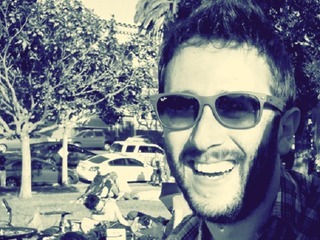 They included engineer Austin Sarner, who helped develop Push Pop Press before it was sold to Facebook; and the Head of Twitter's recently released #Music app Kevin Thau. Jelly was co-founded by Ben Finkel, who also co-founded Q&A service Fluther, where Stone had been an advisor. 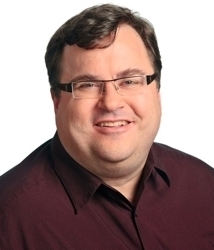 The startup was eventually acquired by Twitter and Finkel is now Jelly's CTO.